The St John’s Co-Cathedral Foundation invites applications for the post of full-time custodians. Candidates should have secondary level of education, a good command of the English language and the ability to speak another foreign language. 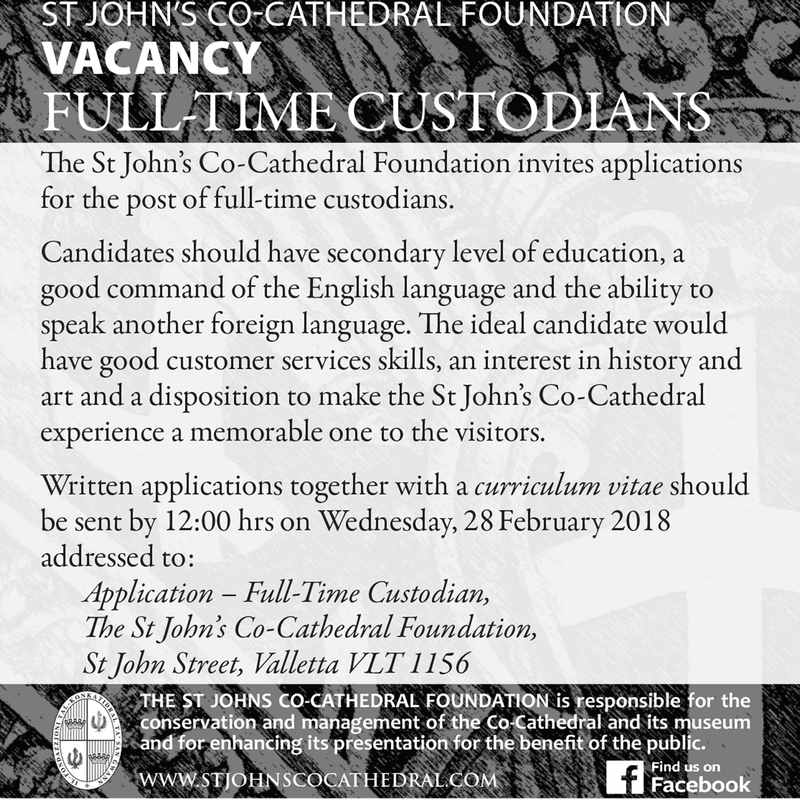 The ideal candidate would have good customer services skills, an interest in history and art and a disposition to make the St John’s Co-Cathedral experience a memorable one to the visitors.